Alexa Vega & Carlos Pena Both Change Last Name to PenaVega (and some wedding pics) - Oh No They Didn't! Newlyweds Alexa Vega and Carlos Pena have both taken each other’s last names and will now be known by Alexa PenaVega and Carlos PenaVega, JustJared.com can confirm! Right after the nuptials, Alexa tweeted, “Mrs. PENAVEGA,” but it looks like her hubby has taken her last name as well! “We love and appreciate your support! 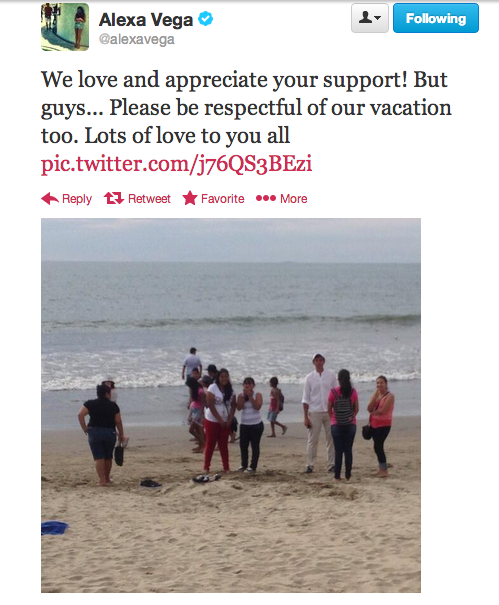 But guys… Please be respectful of our vacation too. Lots of love to you all” Alexa added the next day.